A dog wedding cake is definitely a 21st century phenomenon! As people live longer, and spend more years as "empty nesters" (people whose children have left the home), pets have become more and more important as companions. Coming home to a bouncy, fluffy friend is preferable than to a cold, lonely house. Dog birthday parties have sprung up as a way for people to socialize together with their pets, and so have dog weddings. Pet boutiques carry an array of dog party outfits and it is possible to buy a dog wedding gown and a dog tuxedo. Some people will hold a pet wedding if they intend to breed two dogs, following a human tradition. Others will just decide that their girl and boy should tie the knot. Check with a local dog bakery about a special cake for the big day. You can even find a pet wedding cake topper that is breed-specific or just a generic dog bride and groom! Choose from tiered cakes or a simple dog bone shaped cake. 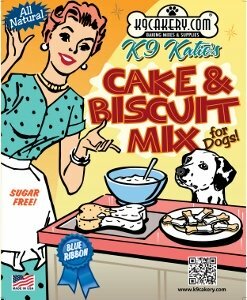 With dog treat frosting, a beautifully decorated cake can be crafted. 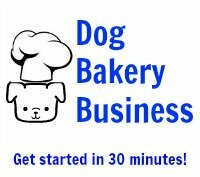 If you have a certain design in mind, find a dog baker and ask them to bake that specific cake. Dog weddings are a hot trend and chances are, your request will not be the first so don't be shy! Some of the high-end pet bakeries are known for making elaborate wedding cakes for pets. You will also be able to find special dog wedding invitations. Or just create your own. Instead of a ring, consider matching collars, or matching dog tags - these would be more practical. But the "bride" may want to wear a collar full of bling to walk down the aisle. Consider it more as a fun party idea. A dog marriage contract is not likely to be binding. It is a fun way to have everyone dress up and take videos to post on Youtube or Facebook. And of course, the guests will salivate over the gorgeous cake. As people include dogs and pets as part of the family, more and more human events will be subscribed to pets. More and more pets are included in wedding parties of their humans. Before you make your own, review the information at dog cake. ASK OUR EXPERT questions about dog treat icing or dog cake frosting.